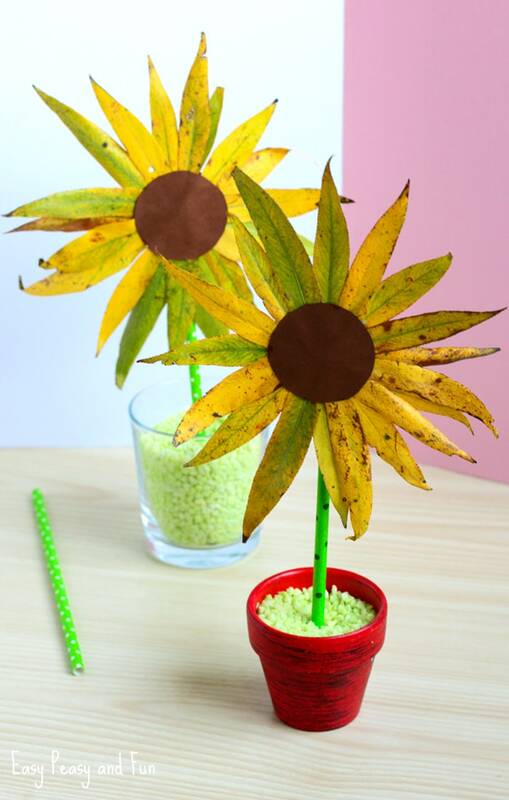 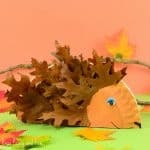 Fall is the best time of the year to get crafty with the materials nature offers and this leaf sunflower craft is the perfect example. 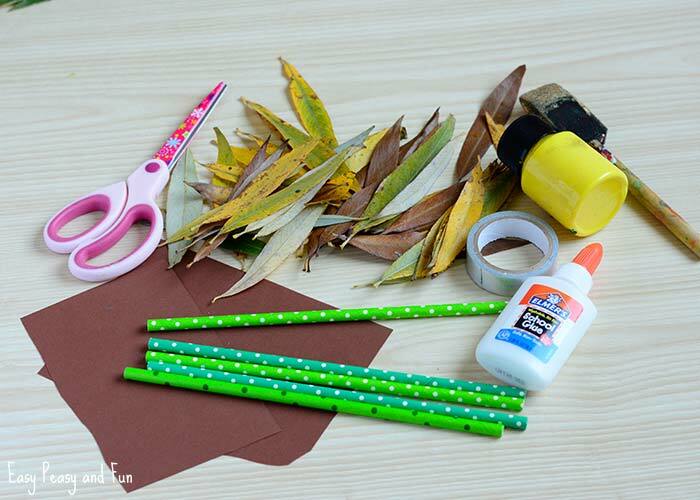 Pick up a bunch of long pointy leaves on your next walk and get crafty with your little ones. 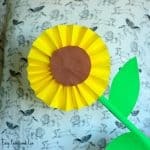 Cut two circles per sunflower from brown construction paper (we used duct tape for circle template). 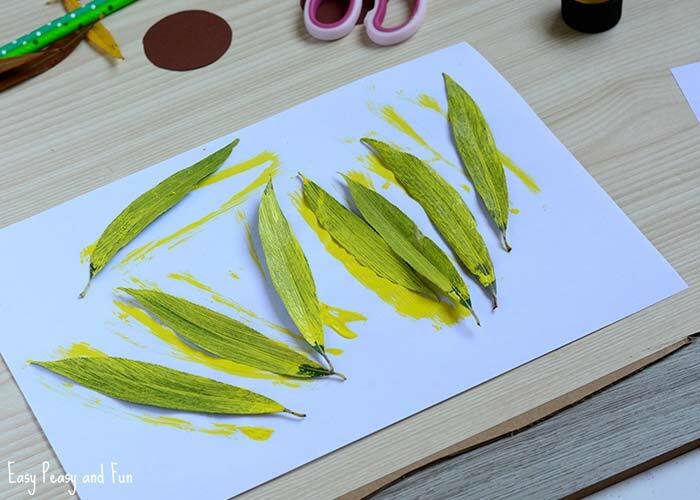 If you didn’t find any leaves that are yellow, you can color them. 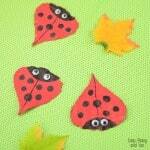 Let them dry before continuing. 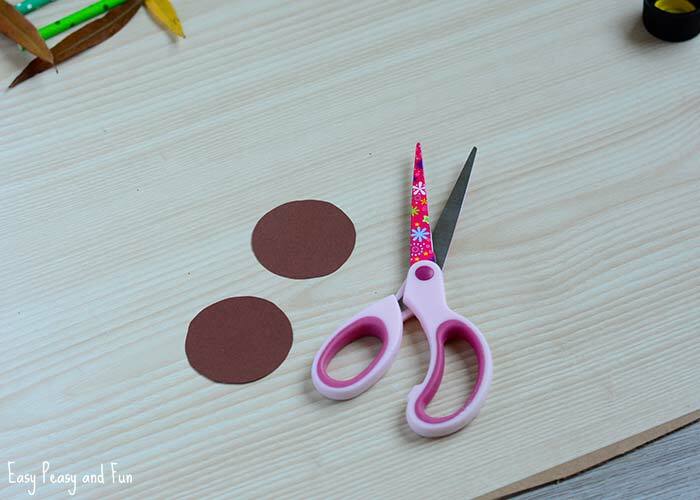 Apply a generous amount of glue on the brown circle. 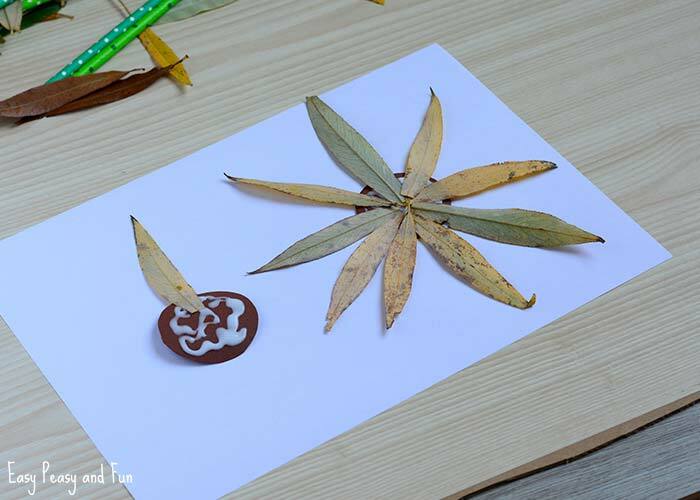 Stick leaves onto it, all around. 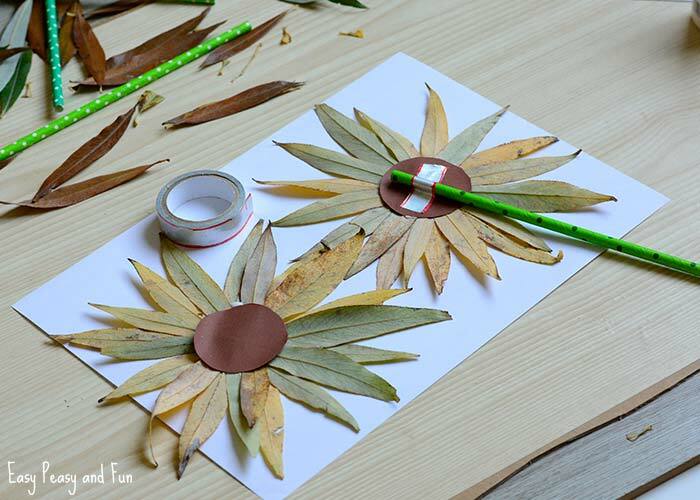 Add a generous amount of glue on the first layer of leaves (over the brown circle area). 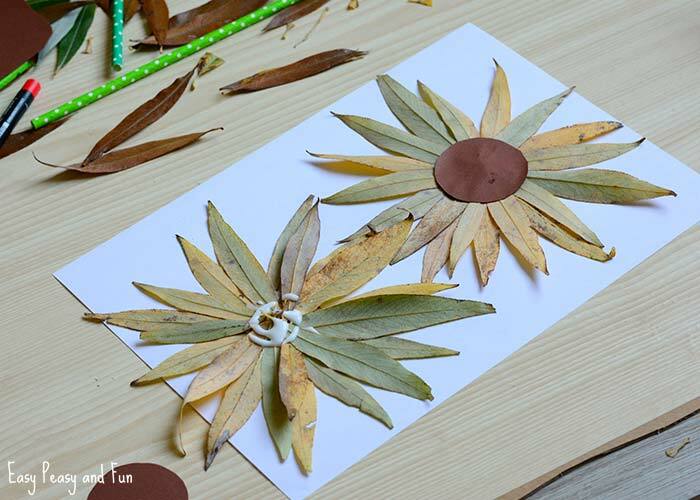 Add another layer of leaves. 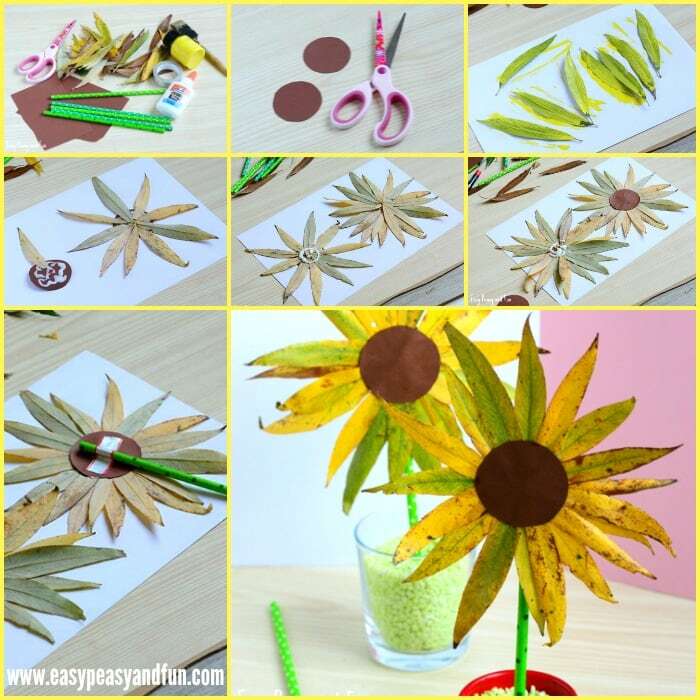 Add another generous amount of glue and stick on another brown circle. 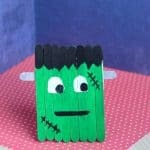 Press down for the glue to set. 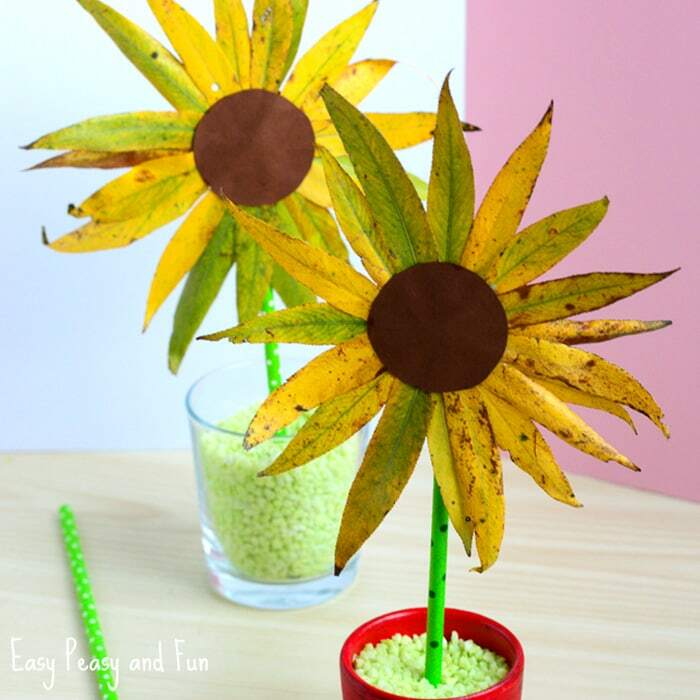 Attach a green paper drinking straw with some duct tape. 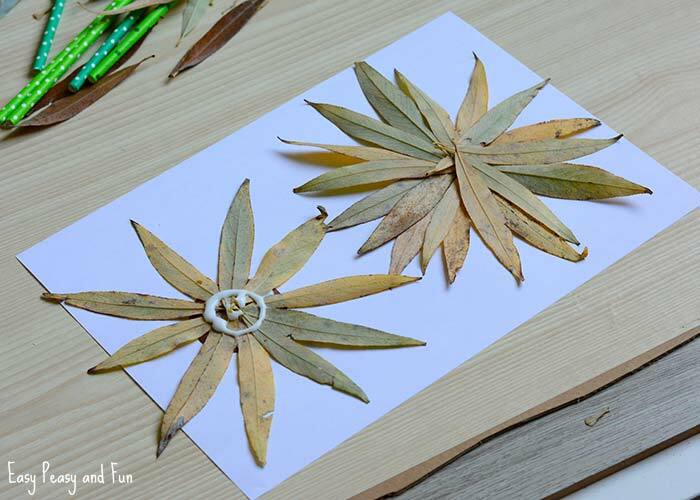 Leave a while for the white glue to dry completely (or somewhat). 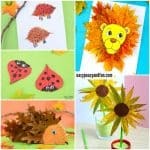 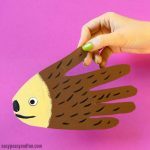 Your leaf sunflower craft is finished.